Every time I travel to Pakistan the airport staff at the Lahore airport force me to pay bribe on arrival and departure. Last year I had three drama DVDs and the airport staff said I am not allowed to take CDs with me. I said OK take them if I am not supposed to carry them he said: "it is no use to me, you are not allowed but you take it, just take care of me". He wouldn't let me go until I paid 1000 rupees. On 18th March 2019 at 7:30am on my way back to Manchester from Lahore I was again forced to pay bribe. This time I was ready to expose them. This is how they operate and has happened all the times. The person doing x-ray scan picks bags that has something they can use to blackmail the passenger. He then calls specific person who takes bag to location slightly away from public. To scare passenger the stuff from very beginning start saying things which means "you are in big trouble". This time he said it is illegal to take textile goods in such quantity. I said OK you can keep it and he replied that it is no use to them, we will accommodate you and you "accommodate" us. They tried to take all the money I told I had and I let them take it to see how low can they go. They took 4,500 PKR before check in and I said that is all I have. He saw I have few GBP in my wallet and came back after some time that one of the gang member is not happy and want 40 GBP (all I had in my wallet). He saw that I still have 1000 PKR in my wallet and came again the third time when I was at the immigration control. He said it is not enough money and the guy at scanner is not happy and took the last 1000 PKR in my wallet. Of course I had lot more money in my pockets, but they took everything in my wallet and that I told I had. 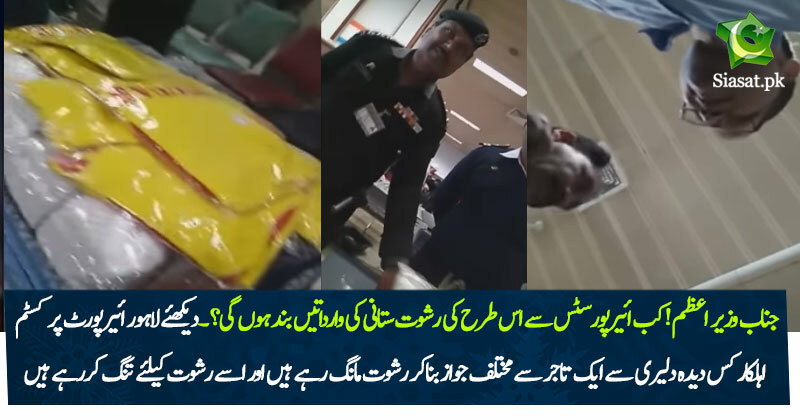 This first video is cut of main video that shows when they ask for bribe, The second video is unedited raw video when they searched the bags. The third video is before immigration control when he came for the third time to grab the last 1000 I had. I could not capture video when he took GBP as I was checking in. My brother reported this to Citizen portal PK, he received call from the DG ASF but he said these people are not from his department and he will refer to customs, there you go. It it time to show people's power. The audacity they had to ask and take bribe openly and at the highest security place with hundred of CCTV camera proves that everyone from top to bottom is part of the gang. Yaar Punjab ho aur Rishwat Na ho. What’s wrong he is taking sample for honest business. Isn't ministry of interior responsible of airport? Government baithi jhak maar rahi? Accommodating Paindooooo officer - he will never be sacked whole chain is there. Who is the minister for that? Shahryar Afridi? CM's guy Gill? What's situation at Karachi Airport where we have intelligent people like you? Imran Khan is the interior minister of Pakistan. I am always supportive on your honest standing. They are Maha Khao than yours. 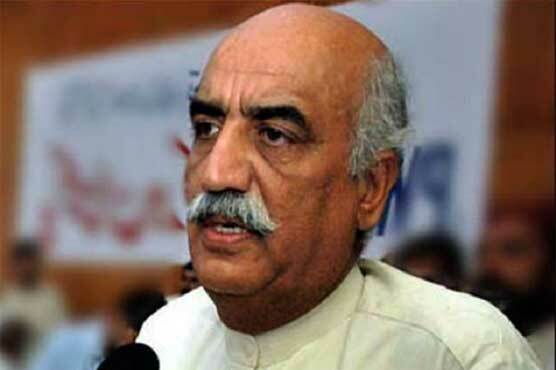 Your quote should have more weightage if you had used word like paindoo before me and my leader. Rishwat doesn't discriminate based on geography. I urge everyone to share these type of videos on FB, Youtube, Twitter etc again and again. Highlight this scrouge of a culture doing daytime highway robbery from hard working citizens. Keep highlighting it until someone is forced to take notice. Keep shaming these rishwat khors. PTI could not give a good atmosphere at 3 international airports of Pakistan Karachi Lahore and Islamabad in one years. So how they will improve Pakistan? Karachi Bebasi aur Bekasi ka Mazar hai? Just a minor correction all corrupts should be executed as long as not from Urdu speaking family. You are getting emotional, I say if Urdu Speaking he should be chopped twice. Then please share your views regarding Altaf Bhai London Walay and Pervez Musharraf UAE walay?